TLJ Daily E-Mail Alert No. 2,096, June 17, 2010. June 17, 2010, Alert No. 2,096. 6/9. The Senate Commerce Committee (SCC) held an executive session at which it amended and approved S 3386 [LOC | WW], the "Restore Online Shoppers' Confidence Act". The SCC approved an amendment in the nature of a substitute [11 pages in PDF], and then the bill as amended. Sen. John Rockefeller (D-WV) introduced this bill on May 19, 2010. In addition, the SCC released report [25 pages in PDF] prepared by the majority staff of the SCC titled "Supplemental Report on Aggressive Sales Tactics on the Internet". See, story titled "Sen. Rockefeller Introduces Bill to Regulate Aggressive Sales Tactics on Internet" in TLJ Daily E-Mail Alert No. 2,086, May 21, 2010. Sen. Rockefeller (at right) read an opening statement. He said that this bill "will put a stop to the deceptive online sales tactics that cost tens of millions of American consumers over a billion dollars in unwanted charges on their debit and credit cards. Websites will no longer be able to trick consumers into signing up for unwanted services and membership clubs. At its very core, this is about protecting the American people who deserve every possible safeguard against fraudsters motivated by their desire to rip people off." The bill, as amended, provides that "It shall be unlawful for any post-transaction third party seller to charge or attempt to charge any consumer's credit card, debit card, bank account, or other financial account for any good or service sold in a transaction effected on the Internet, unless ... before obtaining the purchaser’s billing information, the post-transaction third party seller has clearly and conspicuously disclosed to the purchaser all material terms of the transaction ... and ... the post-transaction third party seller has received the express informed consent for the charge from the consumer whose credit card, debit card, bank account, or other financial account will be charged by ... obtaining from the consumer ... the full account number of the account to be charged; and ...the consumer’s name and address and a means to contact the consumer; and ... requiring the consumer to perform an additional affirmative action, such as clicking on a confirmation button or checking a box that indicates the consumer’s consent to be charged the amount disclosed." The bill also provides that "It shall be unlawful for an initial merchant to disclose a credit card, debit card, bank account, or other financial account number, or to disclose other billing information that is used to charge a customer of the initial merchant, to any post-transaction third party seller for use in an Internet-based sale of any goods or services from that post-transaction third party seller." material terms of the transaction ..."
The bill would give the Federal Trade Commission (FTC) authority to write rules, pursuant to Administrative Procedure Act (APA) procedure. The FTC would also be given authority to enforce violations as unfair or deceptive acts or practices. The bill would also give enforcement authority to state attorneys general. 6/9. The Senate Commerce Committee (SCC) held an executive session at which it approved S 1938 [LOC | WW], the "Distracted Driving Prevention Act of 2009". The SCC approved an amendment in the nature of a substitute [16 pages in PDF], and the bill as amended. The exercise of police powers, including enacting and enforcing criminal and traffic laws, is predominantly a matter of state activity. Moreover, many states have already enacted legislation pursuant to their police powers to prohibit individual conduct while driving that may cause distraction, such as use of cell phones. In contrast, the Congress's primarily tool for regulating telecommunications is to regulate the activities of the commercial enterprises that provide communications services and equipment. S 1938 goes to state police power regulation of individual conduct, not federal regulation of interstate commerce. Rather than attempting to create a federal regime, this bill reflects an attempt to incent the states to enact legislation as directed by this bill, by giving or withholding grant funding. The SCC held a held roll call vote that broke down along partisan lines. The vote was 17-8, with almost all of the votes in favor cast by Democrats. 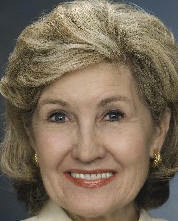 Sen. Kay Hutchison (R-TX), the ranking Republican, was one of the Republicans who voted yes. No one argued that distracted driving is not a problem to be addressed by government. No one opposed the principle of federal legislation directed at curbing distracted driving. Sen. Roger Wicker (R-MS), for example, said during debate that he supports legislation, but opposes this bill "in the name of federalism". He said that "we need to work on a federal approach" that does not instruct the states how to write their statutes. Sen. John Rockefeller (D-WV), the Chairman of the SCC, responded that the bill is more like a carrot than an stick. Sen. Rockefeller also read an opening statement. He said that "In 2008, distracted drivers killed nearly 6,000 people and injured 515,000 people. This is very much an emerging public health epidemic and we have to do something about it." He summarized the bill. It "includes a grant program for states that enact laws to prohibit texting and hand-held cell phone use while driving and requires the Transportation Secretary to issue new regulations for commercial drivers and bus drivers to reduce distracted driving. We added a new provision in the substitute amendment that would prohibit automakers from installing entertainment screens in view of the driver." Sen. Hutchison (at left) stated that "All would agree that driving while distracted poses serious safety risks not only to the drivers, but to passengers, pedestrians, and anyone sharing the road. Unfortunately, studies have shown that while people are aware of the safety risks caused by using cell phones and texting devices while driving, they still participate in this behavior. The National Transportation Safety Board (NTSB) reports that in 2008, almost 6,000 people died from crashes resulting from distracted driving, accounting for 16% of all traffic fatalities." The CTIA, which represents wireless service providers, and the National Safety Council (NSC), announced in a release on June 14, 2010, that they have created and distributed a sixty second radio public service announcement (PSA) as a part of their education program titled "On the Road, Off the Phone". The bill, as amended, would create a distracted driving grant program, to be administered by the Department of Transportation (DOT). States would only be eligible for grants if they enacted, or modified, distracted driving statutes to meet the requirements of the bill. The bill would require a statute that "prohibits a driver from holding a personal wireless communications device to conduct a telephone call while driving", with exceptions for contacting emergency services, using hands free devices, and other things. The bill would further require a statute that "prohibits the use of a personal wireless communications device by a driver for texting while driving". The state statute must also meet the bill's requirements regarding levels of offense and fines. The bill would also provide for direct regulation by the DOT of any operator of a "commercial motor vehicle" or "school bus". This bill would also provide for certain direct regulation by the DOT of vehicle manufacturers. It would require the DOT to "initiate a rulemaking proceeding to prescribe a Federal motor vehi1le safety standard that would prohibit electronic screens from displaying broadcast television, movies, video games, and other forms of similar visual entertainment that is visible to the driver while driving." Sen. Rockefeller introduced S 1938 on October 27, 2009. The SCC held a hearing on October 28, 2009. See, SCC web page with hyperlinks to prepared statements and video. There is a related bill in the House, HR 3994 [LOC | WW], the "Distracted Driving Prevention Act of 2009". Rep. Eliot Engel (D-NY) introduced that bill on November 3, 2009. It has been referred to both the House Commerce Committee (HCC) and the House Transportation and Infrastructure Committee (HTIC). Neither Committee has taken any action. HR 3994 and S 1938, as introduced, were substantially identical. 6/9. The Senate Commerce Committee (SCC) held an executive session at which it amended and approved S 2847 [LOC | WW], the "Commercial Advertisement Loudness Mitigation Act" or "CALM Act". The SCC approved an amendment in the nature of a substitute [3 pages in PDF], and then the bill as amended. Sen. John Rockefeller (D-WV) wrote in a statement that "Excessively loud television advertisements may seem like a small thing -- but they are a big source of irritation for many television viewers. This bill will help put a stop to the annoying practice of featuring television advertisements that are many times louder than television programming." This bill would require the Federal Communications Commission (FCC) to write rules on the permissible volume levels for "the transmission of commercial advertisements by a television broadcast station, cable operator, or other multichannel video programming distributor". It would also require the FCC to incorporate by reference the standards developed by an industry group, the Advanced Television Systems Committee. The bill also contains a limited time financial hardship provision. It provides that "For any television broadcast station, cable operator, or other multichannel video programming distributor that demonstrates that obtaining the equipment to comply with the regulation adopted pursuant to subsection (a) would result in financial hardship, the Federal Communications Commission may grant a waiver of the effective date set forth in paragraph (1) for 1 year and may renew such waiver for 1 additional year." The House passed HR 1084 [LOC | WW], also titled the CALM Act, by voice vote, on December 15, 2010. See, story titled "House Passes CALM Act" in TLJ Daily E-Mail Alert No. 2,025, December 18, 2009. Rep. Eshoo introduced HR 1084 on February 13, 2009. The House Commerce Committee's (HCC) Subcommittee on Communications Technology and the Internet held a hearing on June 11, 2009, and marked up this bill on October 8, 2009. See, story titled "House Communications Subcommittee Approves Bill to Limit Loud Ads" in TLJ Daily E-Mail Alert No. 2,000, October 9, 2009. The full HCC approved the bill on November 19, 2009. See, House Report No. 111-374. Sen. Sheldon Whitehouse (D-RI) introduced S 2847 on December 8, 2009. 6/9. The Senate Commerce Committee (SCC) held an executive session at which it approved S 3084, [LOC | WW], the "Export Promotion Act of 2010". The SCC approved an amendment in the nature of a substitute [7 pages in PDF], with a further amendment [2 pages in PDF], and then the bill as amended. Sen. John Rockefeller (D-WV) wrote in a statement that this bill "is the first serious attempt to reinvigorate American exporters since the creation of the United States and Foreign Commercial Service over two decades ago. In these tough economic times, small businesses need to look wherever they can for new business. In communities in West Virginia and all across the country, there are countless companies offering some of the finest products in the world, but they need assistance to break into foreign markets." This bill would authorize appropriations for the Department of Commerce (DOC) "to promote or facilitate participation by United States businesses in the global marketplace". Sen. Mike Johanns (R-NE) offered an amendment, that was accepted, that provides that "Not later than 90 days after the date of the enactment of this Act, the Secretary of Commerce, in consultation with the United States Trade Representative and other appropriate entities, shall report to Congress on the tariff and nontariff barriers imposed by Colombia, the Republic of Korea, and Panama with respect to exports of firms in the United States, including small and medium sized manufacturing firms." He also stated that he would like Congressional approval of these three trade agreement to be a priority of the Obama administration. He also urged the Congress to approval these free trade agreements. Sen. Rockefeller stated that free trade agreements lie within the jurisdiction of the Senate Finance Committee (SFC). 6/16. The Department of Justice (DOJ), Microsoft, and state plaintiffs filed with the U.S. District Court (DC) another periodic pleading titled "Joint Status Report on Microsoft's Compliance with the Final Judgments". This case is US v. Microsoft, D.C. No. 98-1232 (CKK), and New York, et al. v. Microsoft, D.C. No. 98-1233 (CKK). 6/16. The U.S. Patent and Trademark Office (USPTO) issued a release regarding talks with the Patent Office Professional Association (POPA) pertaining to performance standards for patent examiners. 6/16. The American Association of Publishers (AAP) announced in a release that book sales tracked by the AAP "for the month of April increased by 24.8% percent in April to $629.8 million and were up by 11.8 percent for the year through April." It added that "Downloaded Audio Books increased 32.1 percent at sales of $6 million; the category was also up 30.8 percent through April. E-book sales jumped up 127.4 percent for the month ($27.4 million), reflecting an increase of 217.3 percent for the year-to-date." The House will meet at 10:00 AM for legislative business. See, Rep. Hoyer's schedule for the week of June 14, and schedule for June 17. 10:00 AM. The House Commerce Committee's (HCC) Subcommittee on Communications, Technology and the Internet will hold a hearing titled "Legislative Hearing On Public Safety Broadband Network And H.R 4829". The witnesses will be James Barnett (Chief of the FCC's Public Safety and Homeland Security Bureau), Charles Dowd (New York City Police Department, Communications Division), Jonathan Moore (International Association of Fire Fighters), Steve Zipperstein (Verizon Wireless), Joseph Hanley (Telephone and Data Systems, Inc.), Brian Fontes (National Emergency Number Association), Dale Hatfield (University of Colorado at Boulder), and Coleman Bazelon (Brattle Group). The HCC will webcast this event. See, notice and HR 4829 [LOC | WW], the "Next Generation 9-1-1 Preservation Act of 2010'". Location: Room 2322, Rayburn Building. 10:00 AM. The Senate Judiciary Committee (SJC) will hold an executive business meeting. The agenda again includes consideration of the nomination of John McConnell to be a Judge of the U.S. District Court for the District of Rhode Island. The SJC rarely follows its published agendas. The SJC will webcast this event. See, notice. Location: Room 226, Dirksen Building. 10:00 AM - 12:00 NOON. The Department of Energy (DOE) will hold a meeting to hear public comments about the communications requirements of utilities, including, but not limited to the requirements of the Smart Grid. See, notice in the Federal Register, June 14, 2010, Vol. 75, No. 113, at Pages 33611-33612. Location: DOE, Forrestal Building, Room 8e069, 1000 Independence Ave., SW.
10:30 AM. The Federal Communications Commission (FCC) will hold an event titled "open meeting". The only item on the agenda is adoption of a Notice of Inquiry (NOI) regarding reclassification of broadband internet access services as Title II services. See, notice and story titled "FCC Scheduled to Adopt Broadband Reclassification NOI" in TLJ Daily E-Mail Alert No. 2,089, May 28, 2010. Location: FCC, 445 12th St., SW.
2:00 PM. The House Oversight and Government Reform Committee's (HOGRC) Subcommittee on Information Policy, Census, and National Archives will hold a hearing titled "Federal Electronic Records Management: A Status Report". See, notice. The HOGRC will webcast this event. Location: Room 2154, Rayburn Building. 6:30 PM. Attorney General Eric Holder will give a speech. Location: University of the District of Columbia, Auditorium, Building 46, 4200 Connecticut Ave., NW. EXTENDED TO JULY 19. Deadline to submit comments to the Federal Communications Commission's (FCC) Public Safety and Homeland Security Bureau (PSHSB) regarding interoperability, out-of-band emissions, and equipment certification for 700 MHz public safety broadband networks. See, May 18, 2010, public notice, and June 14, 2010, public notice extending the deadline. Rep. Hoyer's schedule for the week of June 14 states that the House may meet at 9:00 AM. The House might consider HR 5175 [LOC | WW], the "Democracy is Strengthened by Casting Light on Spending in Elections Act" or "DISCLOSE Act", a bill that would regulate political speech. 11:30 AM - 12:00 PM. The Federal Communications Commission (FCC) will hold a news teleconference titled "Teleconference to discuss expansion of mobile broadband spectrum under the National Broadband Plan". The speakers will be Ruth Milkman (Chief of the Wireless Telecommunications Bureau), Julius Knapp (Chief of the Office of Engineering and Technology), Mindel De La Torre (Chief of the International Bureau), and Paul de Sa (Chief of the Office of Strategic Planning). The call in number is 1-888-566-5973. The PIN is 6574611. Register to participate by contacting Robert Kenny at robert dot kenny at fcc dot gov or 202-418-2668 by 10:00 AM on June 18. 12:30 - 1:30 PM. The American Bar Association (ABA) will host a brown bag lunch titled "Introduction to U.S. Privacy and Information Security Law". The speakers will be Carla Hine (McDermott Will & Emery), Megan Olsen (Kelley Drye & Warren), Joel Samuels (Axinn Veltrop & Harkrider), and Katie Brin (Federal Trade Commission). See, notice. This event is free. Location: undisclosed. Deadline to submit written comments to the U.S. Patent and Trademark Office (USPTO) regarding "Enhancement in the Quality of Patents and on United States Patent and Trademark Office Patent Quality Metrics". See, notice in the Federal Register, April 27, 2010, Vol. 75, No. 80, at Pages 22120-22121. 9:30 - 11:00 AM. The Information Technology and Innovation Foundation (ITIF) will host a panel discussion titled "Where does the US Really Stand in Broadband and Why?". The speakers will be Robert Atkinson (ITIF), Sacha Meinrath (New America Foundation), George Ford (Phoenix Center) and Matthew Wood (Media Access Project). See, notice. Location: ITIF, Room 610, 1101 K St., NW. 12:15 - 1:30 PM. The Federal Communications Bar Association (FCBA) will host a brown bag lunch titled "The Satellite Television Extension and Localism Act of 2010". The speakers will be Seth Davidson (Fleischman & Harding), Mike Nilsson (Wiltshire & Grannis), and Linda Kinney (Echostar). Location: Dow Lohnes, 1200 New Hampshire Ave., NW. Deadline to submit reply comments to the Federal Communications Commission (FCC) in response to its Notice of Proposed Rulemaking (NPRM) regarding robocalls, and revisions to FCC rules under the Telephone Consumer Protection Act (TCPA) that would harmonize those rules with the Federal Trade Commission's (FTC) recently amended Telemarketing Sales Rule (TSR). This FCC adopted this NPRM on January 20, 2010, and released the text [37 pages in PDF] on January 22, 2010. It is FCC 10-18 in CG Docket No. 02-278. See, notice in the Federal Register, March 22, 2010, Vol. 75, No. 54, at Pages 13471-13482. See also, story titled "FCC Adopts NPRM Regarding Limiting Some Robocalls" in TLJ Daily E-Mail Alert No. 2,037, January 20, 2010. Deadline to submit reply comments to the Federal Communications Commission (FCC) in response to its Notice of Proposed Rulemaking [45 pages in PDF] regarding universal service low income subsidy programs in Puerto Rico. The FCC adopted and released this item on April 16, 2010. It is FCC 10-57 in WC Docket No. 05-337, CC Docket No. 96-45, and WC Docket No. 03-109. See, notice in the Federal Register, May 7, 2010, Vol. 75, No. 88, at Pages 25156-25159. Deadline to submit comments to the National Telecommunications and Information Administration (NTIA) regarding Domain Name System Security Extensions (DNSSEC). See, notice in the Federal Register, June 9, 2010, Vol. 75, No. 110, at Page 32748. See also, NTIA's June 7, 2010, report [10 pages in PDF] titled "Final Report on DNSSEC Deployment Testing and Evaluation in the Root Zone". 10:00 AM - 1:00 PM. The Department of Health and Human Services' (DHHS) Office of the National Coordinator for Health Information Technology's Privacy & Security Tiger Team will meet by teleconference. See, notice in the Federal Register, June 16, 2010, Vol. 75, No. 115, at Page 34141. 2:30 PM. The Senate Commerce Committee's (SCC) Subcommittee on Competitiveness, Innovation and Export Promotion will hold a hearing titled "Innovation in America: Opportunities and Obstacles". See, notice. Location: Room 253, Russell Building. 10:00 AM. The Senate Judiciary Committee (SJC) will hold a hearing titled "Oversight of the Office of the Intellectual Property Enforcement Coordinator". The SJC will webcast this event. See, notice. Location: Room 226, Dirksen Building.